Newcastle United keen to sign MLS star Miguel Almiron? 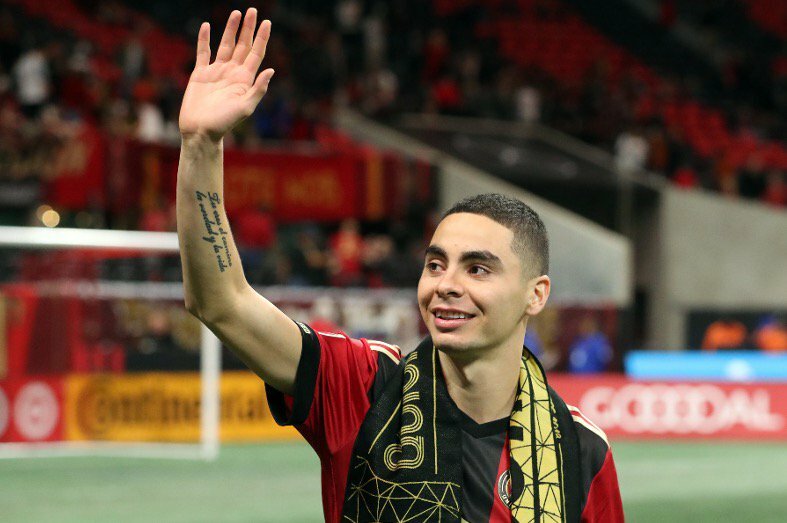 Newcastle United have emerged as rumoured suitors for Atlanta United midfielder Miguel Almiron, according to the Daily Mail. The Magpies have allegedly identified Almiron as the man to boost their efforts in the final third of the season. The Paraguay international has enjoyed a brilliant campaign in the Major League Soccer, scoring 13 goals and provided 11 assists in 35 outings. That impressive form has led to the 25-year-old being strongly linked with a move to the Premier League, and the likes of Arsenal and West Ham United have both been credited with an interest in the attacker. However, an aforementioned report suggested that Newcastle United are prepared to make an early move for Almiron in a bid to secure his signature in the upcoming transfer window. The report adds, the North-East outfit may have to pay somewhere in the region of £25million to lure the playmaker to St James’ Park. Newcastle United have scored 11 goals from 13 Premier League matches this season.